Ooff ell zee cherecters oon zee Mooppet Shoo, zee Svedeesh Cheff is zee oonly oone-a vhu I’d troost tu telk sumeune-a oooot ooff sooeecide-a by dueeng vhet he-a dues best: Seenging hees zeeme-a (Bork bork bork! ), tusseeng eseede-a utenseels, und eegegeeng in unurthudux fuud prepereshun. Thet’s vhee zee meenoote-a-lung segment unrefels intu slepstick es zee cheff’s ingredeeents get zee best ooff heem. Su noo, let’s pey treeboote-a tu qooeete-a pusseebly zee foonneeest Mooppet. 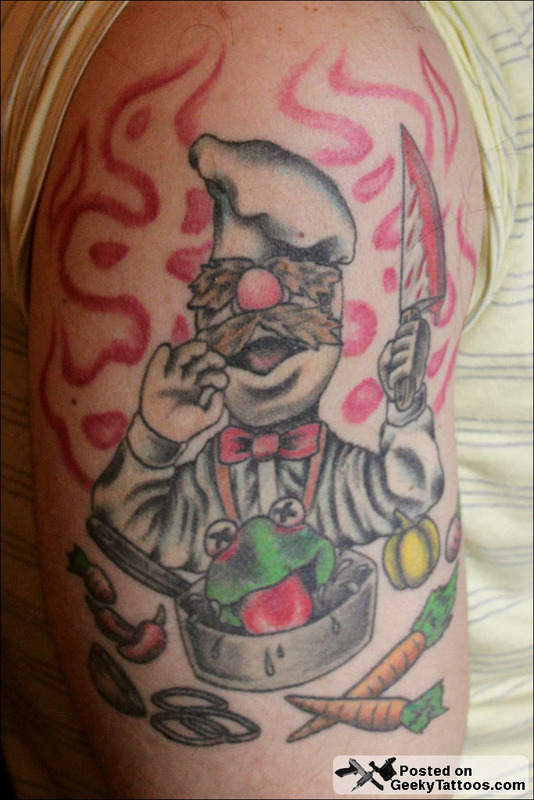 Of all the characters on the Muppet Show, the Swedish Chef is the only one who I’d trust to talk someone out of suicide by doing what he does best: Singing his theme (Bork bork bork! ), tossing aside utensils, and engaging in unorthodox food preparation. 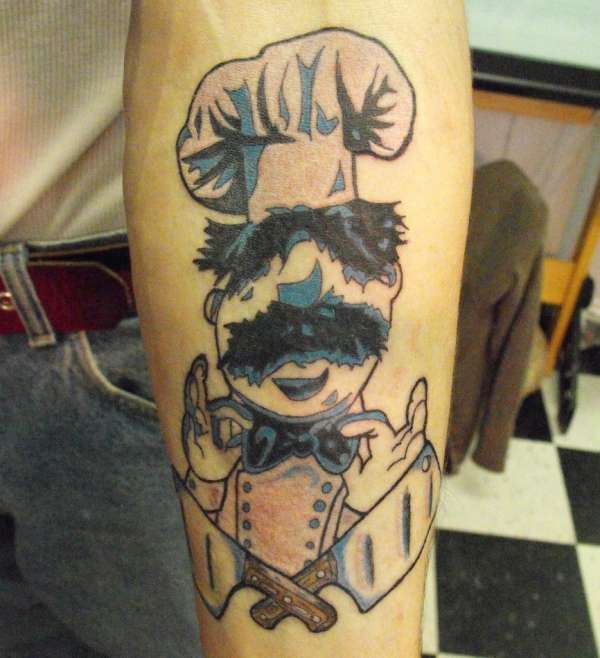 That’s when the minute-long segment unravels into slapstick as the chef’s ingredients get the best of him. So now, let’s pay tribute to quite possibly the funniest Muppet. While the Muppet writers deny it, Lars “Kuprik” Bäckman claims he’s the model. Check out his website. Here he is at the Smithsonian. Just on more reason to come to Washington, D.C. Check out these fine folks dressing up as their hero. 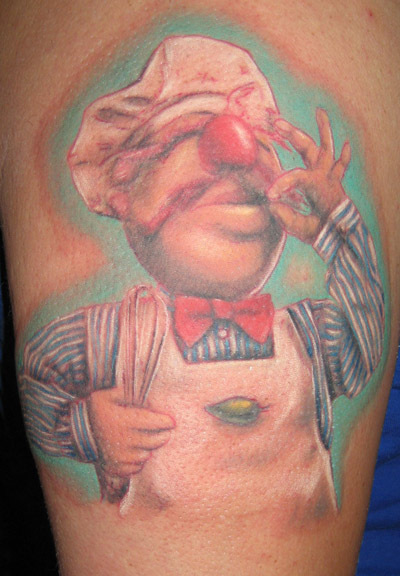 A United States postage stamp of the Swedish Chef came out Sept. 28, 2005 for 37 cents. 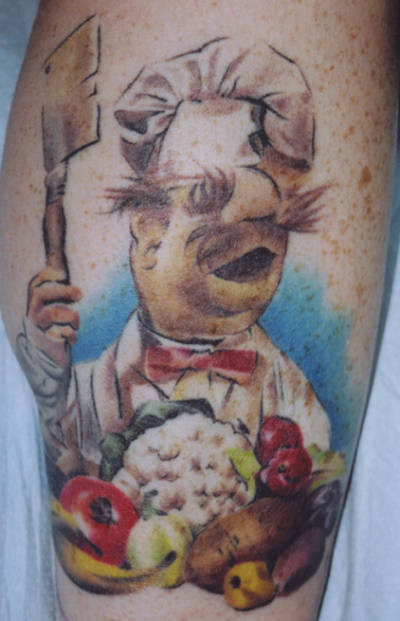 Check it out, the Swedish Chef has a Facebook page. 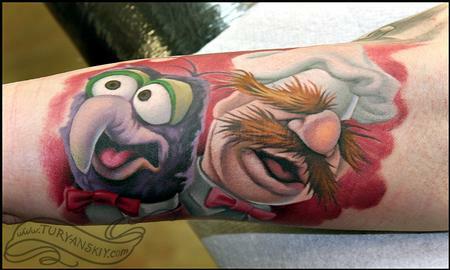 The Swedish Chef once had his own cereal, as noted in Gunaxin’s Tribute to Discontinued Cereals. Cröonchy Stars came out in 1988 and was discontinued about a year later. The cereal consisted of puffy star-shaped bits with a “cinnamonnamony” flavor. 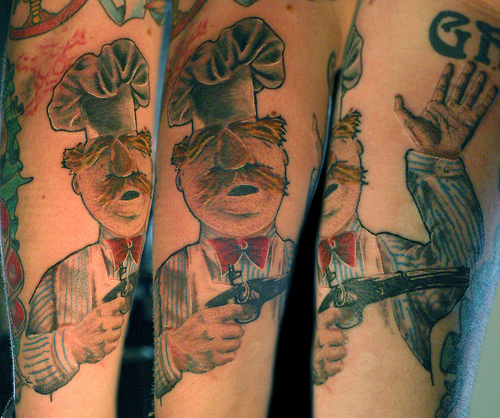 One commercial featured the Swedish Chef in a kitchen with an exploding pot and Cröonchy Stars flying all over the place. The box stated that the product did not contain: (among other things) Venetian Blinds and Pachederms. The back of the box featured ridiculous, and sometimes unsolvable, games and puzzles, including a memory-type card game on every box. Bork! Bork! Bork! 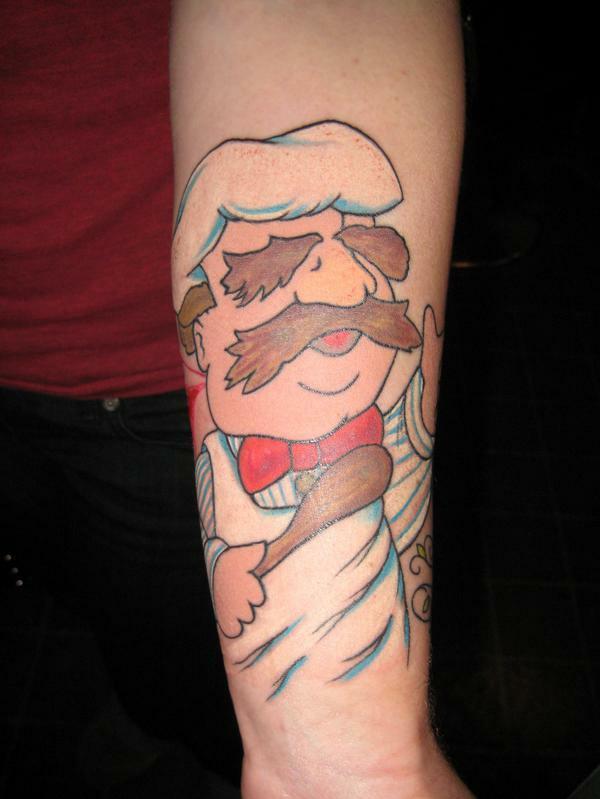 And to close this tribute, here is a mashup of Numa Numa and the Swedish Chef.